My colleagues and I talk a lot about kid lit. I mean, yeah, it’s what we do. We talk about genre, what fits and what doesn’t, what breaks the rules and what doesn’t, and how many times a day we think to ourselves, what are the real ages of the respective readers for their respective genres? Well, one thing I love is classics. Okay, so most writers/readers have a classic that inspires them. My favorite classic authors of kid lit include C.S. Lewis, Laura Ingalls Wilder, and Jules Verne. I recently read an eye-opening biography about the famous writer by William Butcher. In it, I discovered Jules Verne had worked for years to become a playwright, specializing in double-entendre and the scandalous. He eventually became a family man (although he most likely kept some other “interests” in Paris) and had a very difficult time connecting with and managing his (only) son. But it is after his marriage and journey into fatherhood that his science fiction writing came to the limelight. Actually, that’s not quite right. According to Butcher, it wasn’t so much science as travel that obsessed the middle-aged Jules Verne. Verne sometimes had to bow to the whims of his publisher. Jules Hetzel was a brutal businessman, and Verne suffered for not demanding better contracts. However, according to sources including Butcher, Verne made changes he disagreed with (including changing Nemo from a Polish man out to get revenge against the Russians to a man with an ambiguous ethnic identity, all so Hetzel wouldn’t lose the lucrative Russian market). Verne wrote an amazing letter to Hetzel that reminds me of things I’ve written defending my writing choices. At the end of the day though, a good writer remembers…publishers can only exist if they make money. That doesn’t mean you don’t write true to yourself, characters, and story, but you keep your mind open. Verne did, and even though Hetzel was much too interfering, it’s still good to remember that good authors write good books, but great books come from authors who celebrate the value of good editors (critique groups, agents, editors, etc.). Verne didn’t really mean these adventures for children. 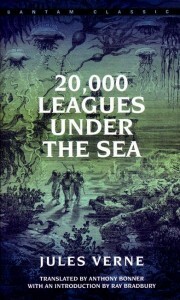 For today’s population, the action and characters in Verne’s tales might seem a bit innocent or simplistic, but we have to remember that we are not reading these novels in the language they were written in, and second, Verne may have hidden more mature material (his love of double-entendre) rather artistically. 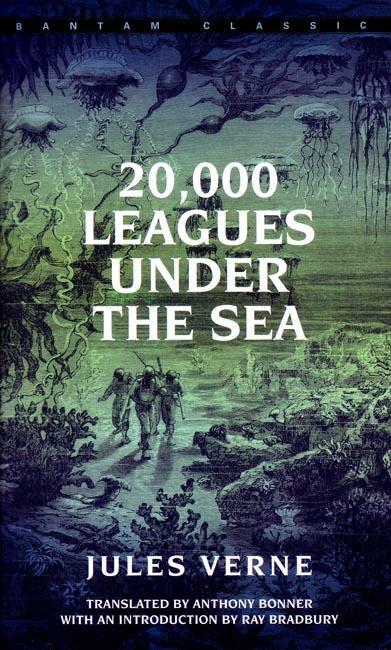 But for a young person, these books do open a door to a sense of adventure and understanding that the world is vast, so Verne does his younger audience a great deal of good anyway. Verne’s books wouldn’t meet publishing standards today. Contemporary audiences are not the type who will read pages upon pages of fish descriptions. We have Discovery Channel. We don’t need Verne to open the worlds he opened for 19th century Europe. But even more than that, we are the “movie” generation. We expect to know our characters through their actions and dialogue. Verne does plenty of that, but some information is told, rather wonderfully and so artistically, but still in a way that writers are urged not to do these days. But that doesn’t devalue what he wrote. We might not paint like the Impressionists any more, but that doesn’t mean their contribution can’t affect people for centuries to come. I think it is good for any author to get a better understanding of their favorite classics and the men and women who penned them. Verne faced a great deal of rejection and frustration before finding his “thing,” and his commitment to his identity as a writer is something that, like his stories, will continue to inspire me daily.